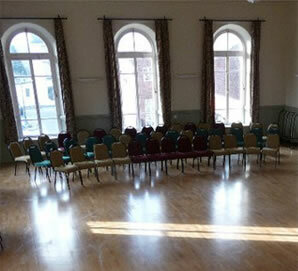 To book any of the facilities at the hall please see our venue hire page or contact us. One of our team will be pleased to discuss your needs. This beautiful town hall is now accessible for all. The Hall has been fitted with automatic doors, a lift and has a graduated pavement entrance making it suitable for full disabled access. The Upper Hall holds a maximum of 160 and is beautifully light and airy room with stunning views over the Trent Valley. It is perfect for weddings, celebrations, exhibitions, cultural events, sports and conferences. The Lower Hall is on the ground floor and holds a maximum of 50. This comfortable Hall is suitable for meetings, celebrations and all the activities listed above, except sport. Stairs lead out of this hall, which connect directly to the main hall above. This means that the two halls may be used easily together. There are two other meeting rooms on the ground floor. 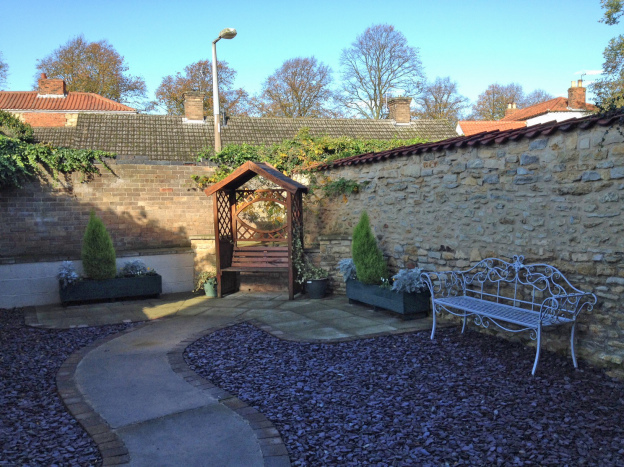 Both can be organised for small meetings, holding 12-16 people depending on the seating arrangements. This makes the building ideal for large conferences, where small group facilities are also needed. We work very closely with The Kirton in Lindsey Society and they were a key partner in our bid to the Heritage Lottery Fund. The Society has amassed a wide collection of papers and artefacts relating to the history of Kirton over the years but had nowhere permanent to display them so one of the smaller rooms in the Town Hall has been designated as the Heritage Room and houses wall boards and display cases. The Society puts on themed displays, normally about 2 per year, which are open to everyone visiting the hall. Topics so far have included Archaeology, Queen Victoria’s Diamond Jubilee, the History of Kirton Airfield and Kirton in World War I. 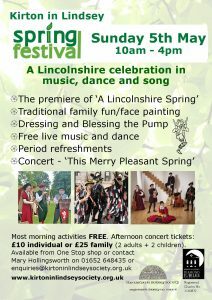 More information about the Society and its work can be found on their website at : www.kirtoninlindseysociety.org.uk. There are two kitchens one on each floor. They are designed to be serving kitchens, but facilities such as cookers, fridges and microwaves are available. The upper floor kitchen also contains a commercial dishwasher. Water boilers in both kitchens will provide instant hot water for tea, coffee etc. Both kitchens can be accessed from all parts of the building. China, cutlery, table linen and glasses are available. 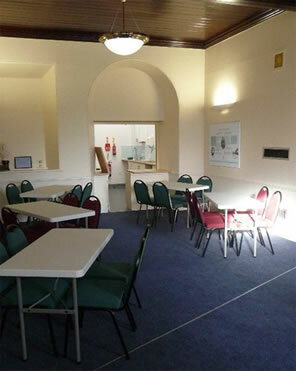 Two cloakroom areas are at the back of the town hall and are directly accessible from both small and large halls. There are also two accessible toilets, one on each floor. These can be reached from any part of the building. There is a small walled courtyard to the side of the building. This has seats and decorative features such as a rose arch and is ideal for wedding photographs etc. It also provides an attractive space to adjourn, on a hot day. Although we do not have a dedicated carpark we find that there is ample street parking in the Market Place and near by. Error: Error validating access token: Session has expired on Saturday, 23-Mar-19 02:32:21 PDT. The current time is Thursday, 25-Apr-19 19:14:59 PDT.